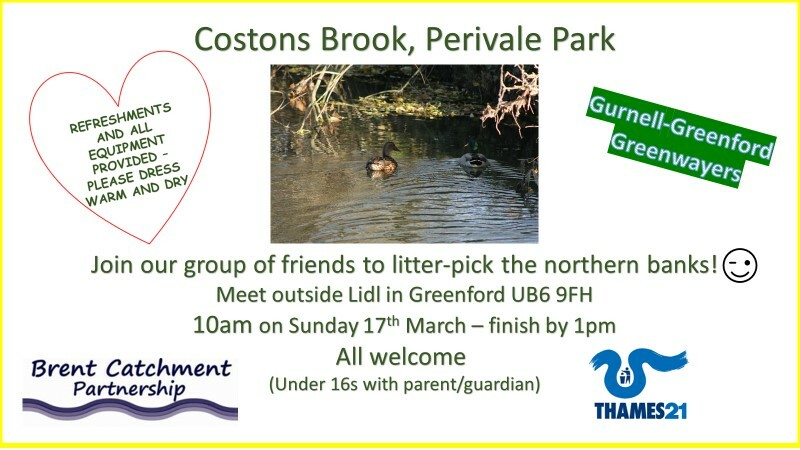 The next Gurnell-Greenford Greenwayers event around the northern section of Costons Brook will be on Sunday 17th March with a limit of just 20 people due to our safety policy regarding steel toe-cap and steel mid-sole wellington boots as well as approved gloves, both of which we provide. Our public liability insurance through Thames21 is only valid if we adhere to the policy. Currently we have just 4 places left so please don’t be disappointed if you are not able to take part on this occasion. There will be another event in April or May in the River Brent itself not far from Brentside School. The Greenford-Gurnell Greenway is the area recently awarded funding by the Mayor of London. You can find references to the project in the Perivale Park Forum, including a very useful map of the area. Just look down the list of posts on the right-hand side for any item which mentions Greenford-Gurnell. 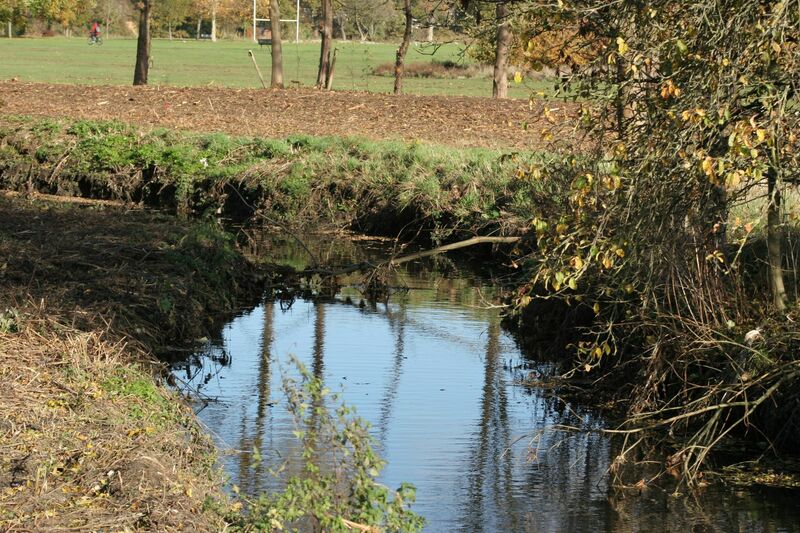 Our name is derived from the title of the project with a change in the order of Greenford and Gurnell to reflect the downstream flow of the River Brent and the addition of -er to Greenway to signify that we are a group of motivated river cleaners! We are a badged group under the auspices of Thames21, which means that our events comply with all their health and safety requirements in terms of equipment and procedures, and our leaders are all Thames21-trained in leading river clean-ups. We operate in turbid water of varying depths potentially concealing sharp metal objects and along rough, uneven river banks with concealed roots and rabbit- and fox holes. The full safety waders we use have steel toe-caps and mid-soles as do the wellington boots we use on land. Gloves must be rubberised and must cover the wrist, and we use probing poles when moving in the channel. We believe most firmly in protecting the well-being of each and every person who takes part in our events! As an additional reassurance, we benefit from Thames21 public liability insurance as a badged group. Again, many thanks for your question. Previous PostPrevious Ice skating anyone?